Gmail Add-on lite that works on browser and Android Mobiles is now publicly available for all customers. Learn more here. 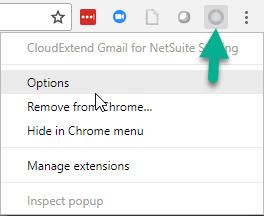 Added the ability to hide and unhide the new Gmail Add-on in browser if both Chrome Extension and new Add-on are installed. Most users will want to keep the Add-on hidden in browser sessions since the Chrome extension is more robust. If desired, the Add-on can be unhidden from Chrome Extension options as shown below. CloudExtend Icon is now placed in the side bar as seen below. 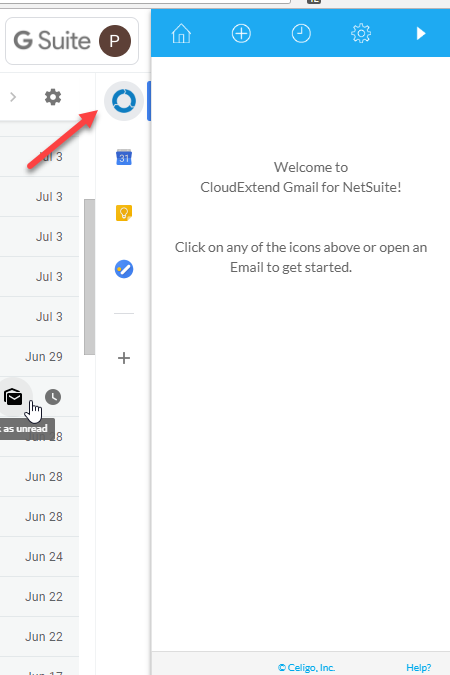 Fixed issue with "Compose from NetSuite" in new Gmail UI.